Can Bing break Microsoft's search hoodoo? 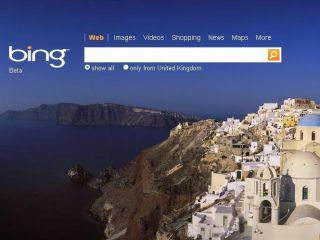 Microsoft's Bing search engine officially launches on Wednesday, but as it's already live in the UK, we've been cantering around the site, gathering together our early thoughts. Microsoft is placing a lot of expectations on its new search engine and has wasted no time in building it up by calling it a "decision engine". But it's got a job on its hands; the corporation's previous efforts at improved search offerings have been met with widespread indifference. Can Bing break Microsoft's search woes? It's too early to say. After all, Bing hasn't officially launched yet. And it clearly isn't finished in terms of its relationship to other Microsoft sites. The homepage is crisp and clear and we're told that the image will change daily. But the linking is all a bit disjointed - a good example of the part-finish is that the Maps button takes you straight to Multimap, even though bing.com/maps is live (a rebrand of Live Search Maps). And, although the Bing Local link is live, the service goes to a blank page. This uncertainty extends to the branding. Windows Live, while not evident on Bing itself, is still under the search bar on the MSN homepage – even though Live.com now redirects to Bing. So how does Bing perform? The first impression is that it's very fast - impressively so. Basic searching is no problem. Certain things clearly contrast with the way we're used to things with Google. Search for anything encyclopaedic on Google and a Wikipedia result rises towards the top of the results. Bing doesn't seem to give this weight to Wikipedia and as such it can sometimes feel (even if it isn't actually the case) like it doesn't hit the nail on the head. The related searches pane works well, while we also like the page preview you can see while hovering alongside the search results. From the preview you can also jump directly to places that page links to – another handy feature. Localisation isn't quite at the races yet. Searching for local businesses only seems to sporadically bring up a map, phone number and other information, while at one point we managed to confuse it, as it thought we were in Germany. More work needed. Searches also seem currently very separate by type – you're only sporadically presented with a related news item while performing a standard web search. Bing has some catching up to do here. And, for a self-styled decision engine, Bing doesn't do so well with natural language searches or present you with extended information like Wolfram Alpha. "What is the time in London?" for example, just gives you the search result of sites that will tell you that rather than just telling you. Just typing in weather, on the other hand, does work – another win for Bing. As shown in the Bing demo, a search for "Seattle Mariners" brings up extra related information, but searching for "Manchester United" doesn't show any extra details at the moment. However, some very clever touches are already evident: the endless scrolling in images works very well (first introduced in Live's image search), while the video search is excellent. You can play back videos from within Bing, meaning you can quickly preview and discover the one you're after. You can also filter images by caveat such as size. Current page: Can Bing break Microsoft's search hoodoo?